What happens in Solforge when your life total hits zero? You are forcibly ejected from the game, this isn't quite the same thing as losing though. We are taught early and often to learn from your losses, but rather than asking "how" or "why" I find it much more useful to ask "when". By asking when we lost we minimise out bias toward factors such as luck, balance or deck preferences and can better identify how our strategy works and whether or not it is a strategy we should be employing. It also allows us to find synergies between cards that are far from apparent. Can you tell me why Brightsteel Gargoyle, Frostmane Dragon and Nexus Aeronaut all have very strong synergy with each other? I'll give my answer a little later on. The reason I'm going into identifying when we lose is because its important to understanding the current Solforge metagame. Right now it is lightning fast, much faster than it has ever been before. This is potentially deceptive because players don't necessarily die faster than they have previously, but rest assured most games are decided in player level 1. I believe the primary reason for this is the strength of underleveled cards in this day and age. If I have 7 level 2 cards in my deck, plus 3 Oratek Explosives, 3 Rage of Kadras and 3 Burnout, then its like I have 16 level 2 cards in my deck. If I play some strong level 1 cards that don't level well such as Everflame Phoenix, Dysian Siphon or the overload cards then it hurts me significantly less than historically was the case. The second reason is that a lot of cards these days only do something when you already have creatures in play, or benefit in some way from having them in your turn rather than simply blocking an enemy (Frostmane Eggs and all the mobility floating around). This leads to an arms race of who can be the only one with creatures already in play until we no longer care about our late-games in favour of this one key point. I chose to play A/T Robots for the January WCQ, the same list Eon top-16'd with for those curious. Oratek Explosives is far and away the best card in the format and the #1 reason it has warped so far from regular Solforge. The most important question then is "who uses Explosives the best?" and I spent the longest time torn between Rage and Robots as the answer to this question. I initially chose Rage as it is easier to ally and also gets access to its namesake, Rage of Kadras, as a sort of copies 4-6 of your explosives. My first harsh lesson came from Aterocana when he showed me just how weak Flamesculptor is in the current metagame. It felt like half of Solforge players were calling to nerf him for being too powerful and the other half were cutting him for being too weak. I tried for a while to make it a play of opportunity, only playing it when it had a good block, rather than as a part of my core strategy but he comes with a significant deckbuilding cost of forcing you to add a bunch of spells to your deck so that doesn't work. The second lesson was just how bad Tempys creatures are. Frostmane and Windweaver are incredible but it quickly drops off after that. Everflame Phoenix is ok since his blank level 2 matters a lot less than normal in this format but Ator is a 6/5 with a downside and Flamebreak Invoker is a 4/6 without an ability in Rage decks. Ator has a cool little interaction with Windweaver allowing you to snipe off all the x/6 creatures around but overall, giving your creatures aggressive just makes it harder to set up a good Rage or Explosives next turn. As a heads up guys, as a default on an empty board your Broodqueens should be placed in 1 or 5 with the token placed beside them. It helps prevent Ator combos, hinders mobility and screws over Echowisp blocks. By remembering that Oratek Explosives was the card I was building around, not Rage, I cut the deck off after these two weaknesses and moved to the other Explosives deck, Robots. Eon was keen on Robots as well, adding some confidence to the decision. Robots initially appeared to have a much weaker Explosives, after all you would sometimes miss on the allied trigger but in reality they have a much stronger one. Gargoyle and Aeronaut both combo with it exceptionally well. Both are difficult to kill and help ensure you have a creature to play it on, and both are low-attack, high-hp creatures (Gargoyles hp coming from Sentinel) which benefit more from attack buffs than usual, since they can now 1-shot other creatures but are difficult for your opponent to 1-shot. Hell, add a Relic Scout and they even escape Burnout range. Robots also have their own version of the Rage blowout, the Brightsteel Sentinel/Aegis Knight combo. This creates an unbeatable advantage if you already have a board (like Rage), and snipes a creature while adding 2 of your own if you don't have a board (better than Rage). The downside of course is that it requires 2 cards so you don't have it available as often as Rage of Kadras. It also does cute things with Relic Scout, who is also a robot and can pick off an extra creature for free. The final option was to hybridise the 2. After all, if you're cutting Flamesculptor and most of your spells with it you have a lot of room to start adding Alloyin creatures, and Robots already runs Frostmane and Windweaver anyway. In the end I wish I had played a hybrid version and this was a failing on my part. You need very few Tempys creatures to make Rage worth playing (3 Frostmanes alone is probably enough). Obviously the fewer Tempys creatures you run the weaker it is but even a very weak Rage is still stronger than most other Solforge cards. I'm not sure whether the Sentinel/Aegis combo is better or more Tempys creatures but either way Aeronaut and Gargoyle should be staples in Rage decks going forward (and Relic Hunter is a given, its been a staple in Rage since its release). 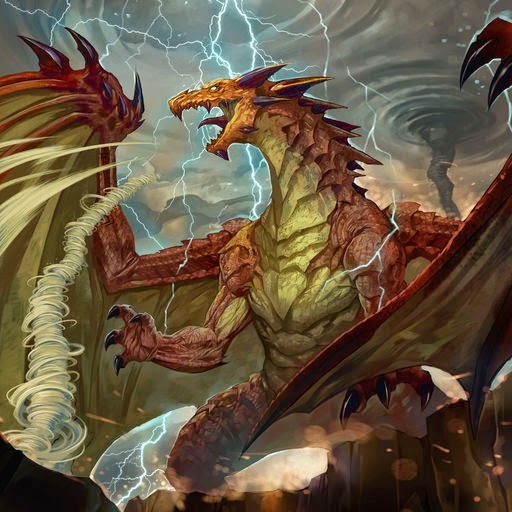 At the beginning of this article I asked you to think about the synergy between Nexus Aeronaut, Brightsteel Gargoyle and Frostmane Dragon. My answer is: they are all at their strongest on very specific, but different, turns. All of these cards are core to your plan and so you will play all of them whenever but they are distinctly stronger on certain turns in player level 1 (the important player level). Aeronaut is at its strongest at 1.1 or 1.2. With a massive 8 health, and the ability of armour to refresh each turn, an early Aeronaut presents the strongest monster you can create when you buff it. Giant scary monsters at level 1 are best early because its a longer time before your opponent can play a level 2 blocker to kill it. Frostmane is a little more obvious, being strongest at 1.3 because thats when you can lay and hatch the egg immediately. Gargoyle is at its strongest at 1.4 because it is the one that can't be readily killed by level 2 creatures, it will provide a reliable anchor for your Explosives and your Sentinels even when his level 1 body is overshadowed. So where to from here? Broodqueen just won its 4th consecutive WCQ and I haven't even mentioned them. I realise the irony of this article's title when Broodqueen won yet again but it really is a different environment. Broodqueen decks might look similar but they play radically different to how they did even as recently as December. The entire deck is geared toward level 1 aggression now, your late-game comes from breakthrough and pump effects rather than the queen herself and every decision you make is based on gaining board control as fast as possible to the exclusion of all else. If a pairing other than A/T or U/N ever gets given a real allied card I could easily see this strategy moving elsewhere. I mentioned the future of Rage earlier and I like the direction Decurion has taken it in his build. He is playing Gargoyle, Aeronaut and Relic Hunter but where I scrapped Ator he has embraced it, playing the sub-par Flameblade Champion in order to strengthen his Ators. Transcendence took it one step further, playing Everflame Mystic as well but without trying the deck for myself I can't speak to how consistent this is. Historically, "Gimmick" combos such as these haven't fared well in Solforge. No-ones rushing to Uranti Elementalist their Nethershriek after all. The big weakness is that even if you pull it off at level 1, you need to draw them together at later player levels as well which is much harder to do and very unreliable. In this metagame though our late-game plan revolves around level 1 cards, underdrops, and so we care less than usual exactly what level 2's and 3's are being shuffled into our deck. Honestly though I feel this is a golden time for rogue decks to shine. We have a clearly defined metagame with exploitable traits. I chose not to play Stasis Warden because it gets destroyed by Robots, and Relic Scout is pretty unpleasant too but rgrgrg's Glaceus inclusion is forcing me to give it another chance as that is a powerful way to stop high hp creatures and to prevent Oratek Explosives from hitting you. The U/A Upgrade decks have the potential for the strongest aggressive starts in the game, something highly desired right now, and if they can ever figure out how to not lose to Explosives they might be a force to be reckoned with. If we go too far in the direction of Gargoyles and Frostmane Eggs for advantage rather than direct damage to our opponent it could also open a window for a deck like Kitfinity to shine, which really doesn't care how far ahead you are it just wants its life total to not hit zero.